The easiest car buying experience I have ever had. I worked with Bash Turay and Jeff Penta. These 2 guys are the most helpful, professional, and knowledgeable people I have ever worked with. Because of the great service provided by both Bash and Jeff, Lexington Toyota now has another lifetime customer. No pressure dealership. Hilman is the rep I was assigned. Very responsive and seemed very trustworthy. Ended up not getting a Toyota, but if I'm in the market for one, this will be the first place I look. Just got home after a visit to Lexington Toyota. Went there to test drive a used Tacoma I had found online. Very professional communication from Kevin Ferguson when I called them in the morning and he sent me the information requested promptly. Made an appointment to test drive this evening, and he and the vehicle were ready to go at the time I chose to arrive. After the drive, Kevin, I and Nick (I believe) had what I felt was probably the only frank and honest discussion I have ever had with a car dealer regarding the value of my trade-in value and what they could do on the price of the Tacoma. As I had done a great deal of research ahead of time, I knew what the Tacoma should sell for and knew that what they were offering for my trade was reasonable given how car dealers make money. 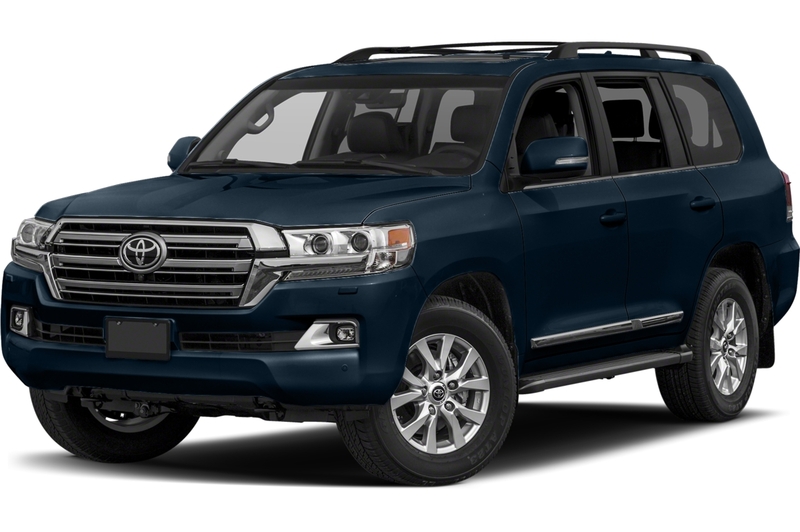 Though I did not close the deal tonight (had no intention to do so to begin with until I discuss it with my wife), I left Lexington Toyota with a smile on my face feeling for the first time ever that I finally DID NOT have someone try to hand me a line of B/S believing I was stupid! Thanks Kevin and Nick...I'll be in touch. We've had our cars serviced at Lexington Toyota for 15+ years. I've just bought a car from them. So we have some experience with the dealership. Two stories about recent positive experiences there: 1) The exclamation point warning light came on on my wife's Solara. If you look in the manual, it basically says if this light comes on, stop driving. My wife told me the tire pressures were OK, so I figured maybe the sensors were bad or something else complicated had happened. I called Lexington Toyota's service department. They didn't have any openings for a few days, but said if I could leave it with them and had some flexibility, they'd get it looked at as soon as they could. They gave me a heads up that there would be a diagnostic fee...something around $100. I was glad to get the car looked at so quickly, so I took it in. A few hours later, I got a call. Chris (or maybe Bruce...I've worked with both) said that in fact, the tires were all under-inflated, and that had triggered the warning light. They also said they weren't going to charge me "for air." Summary: they fit me into their booked up day, gave me a ride in their swanky shuttle van, fixed my problem, didn't point out that I was stupid not to check the pressures myself, and charged me nothing, not even the diagnostic fee they'd told me they would charge. Winner winner chicken dinner. I'm sure doing business that way costs them a few bucks short term, but it also makes customers like me very happy, and less likely to take my car to any of their many local competitors. 2) I just bought a '15 Highlander from Bill Dorfman. It was a very pleasant experience. Bill knows his stuff, and he obviously loves talking about and demonstrating all the cool features of cars. If you're used to high-pressure tactics at other dealership, you might think Bill doesn't want your business. He's just a laid back guy. Which I like. He didn't badger me. I don't think he ever initiated an email or phone call. But he was responsive when I did. I made an offer over email. He gave me a reasonable counter offer over the phone, and the deal was done. He probably spent 30 minutes with me in the car, showing me all the cool features and helping set everything up. No hard sell on extended warranties or paint protection. I'd be happy to work with Bill again. I think it's important to remember that Lexington Toyota is a fairly small shop. If you care a lot about amenities in the waiting area or having dozens of sales folks tripping over each other to get to you, you might want to try a different dealership. But if you want to be treated well by nice folks who respect your time and know what they're talking about, Lexington Toyota is great." These guys were so straigtforward and always available by email, phone or personal cell phone to answer my questions. I ended up buying from them, not only because they offered me the best quote but because they were willing to spend so much time with me. Sean and Seng helped me, but I have a feeling everyone at the dealership is top notch. Just drove our 2011 4WD 4cyl RAV4 Limited home, and so HAPPY! We did not go to Lexington Toyota first. The other dealership advertised on Truecar.com a good price and got us in their door. But they played the old tricks: lots of going back and forth, the dealers acted as the know-it-all and talked us down, and minimized even tried to cover up their mistakes (they gave us our leasing cost estimate using numbers of another buyer's car!). I called Lexington Toyota after seeing their Highlander ads but their internet manager Shy Christakos (a loverly young lady) was able to "detect" our real needs and quote something on RAV4 even better than the truecar.com price! The quote was emailed to me right after the call. We visited on the same day, and our luck continues with meeting Chris Cavaleri, our sales guy. There was not a single stunt from Chris, we asked a straightforward question and got a straightforward answer. And no question was off the limit. Nothing was hidden. Chris paid attention to all little wishes we had, and if there was a match, he'd make sure to get us one. When we were unsure, he showed us the options in similar cars on their lot and when we changed our minds on a car he already located for us elsewhere, he had no complaints and seemed truly happy that we were finally sure of what we wanted. Who would have thought that buying a car can be this pleasant! Highly recommend!!! The reason I went to Lexington Toyota is because I'm tired of the stress and pressure of the experience car buying. That's what most dealership put you under. But not Lexington Toyota,the minute I walked into Lexington Toyota I felt that something is different. The day I went all I wanted was to get pricing. I talked to a sales women and told her that I was interested in a prius and that I didn't have a lot of time and only wanted pricing. She said no problem, I sat down and she explained the different levels of the prius. I wanted to see one with leather and navigation. After a short test drive we went back to her dest and she gave me a great price. I had no intention of buying that day, so I left. I did go to a couple of other dealerships and yes as soon as I walked into them I got that bad feelin. I did get pricing but not before I was talked to by several people. Each time by someone higher up the chain and each time I felt more uncomfortable and more pressure. The price I got was lowered by each person that talked to me. By the time I got out of there the price was the same as the price that Lexington Toyota gave to me without the pressure and stress. I called Lexington Toyota on my way home and told my sales women that I'd be in the next day to buy from her. The next day I went to Lexington Toyota to complete the purchase. I was surprised to find the ease of doing business there. Everyone was knowledgeable and professional. No games, no tricks and no pressure. An excellent experience all around.